As Autumn gets underway, the thought of getting out and about can sometimes be off-putting if the weather is typically British and bracing, but that feeling of blowing away the cobwebs and exploring the countryside is sometimes all you need to feel refreshed. Not only that, these type of days out can build memories of you with your four-legged friend which you'll remember for years to come. As we continue our series finding the best pockets of the UK to visit and explore with your dog, this month we visit the breathtaking Hardcastle Crags in West Yorkshire. 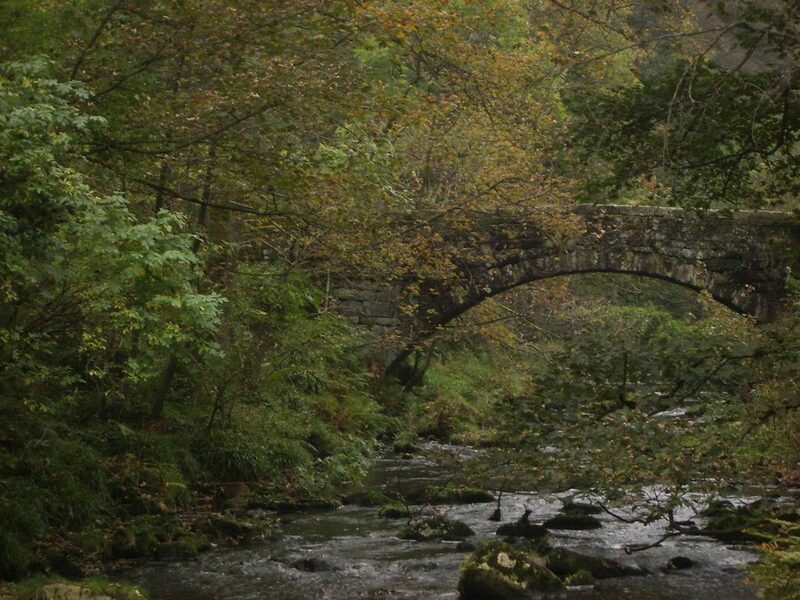 Located near to Hebden Bridge, known for its creative influences on popular culture in the 70s and 80s, Hardcastle Crags is a wonderful place to explore with your dog. Approximately half a mile along the valley you'll find the 19th-century cotton mill named Gibson Mill, which was one of the first powered mills built at the start of the Industrial Revolution. The mill re-opened in 2005 to exhibit more about the mill and its past life. With stunning riverside views and plenty of woodland surrounding (well, 400 acres is quite a lot! ), if you're feeling adventurous you can even climb the rocky paths to the hilltops insight or stay close to the ground and watch the wildlife all around. In fact, Hardcastle Crags is one of the best wildlife spots in the Pennines for nature watching during the winter months. The BBC has even said locals refer to the area as “little Switzerland due to its Alpine style terrain”. There are around 25 miles of walking trails also, one of which is highlighted on the National Trust site and is a good three-mile walk and ideal for dogs to enjoy at a moderate pace. Find out more about this highlighted walk here. If you're spending the day, you can take a picnic to enjoy sitting by the old weirs, or with local pubs in close proximity you'll be spoilt for choice. Approximately two miles north from Hebden Bridge, find out how to get to Hardcastle Crags with this useful map. This Cheshire Dog Walk Is Guaranteed to Blow Away Your Winter Cobwebs! How Do These Dogs Discover Dead Bodies?